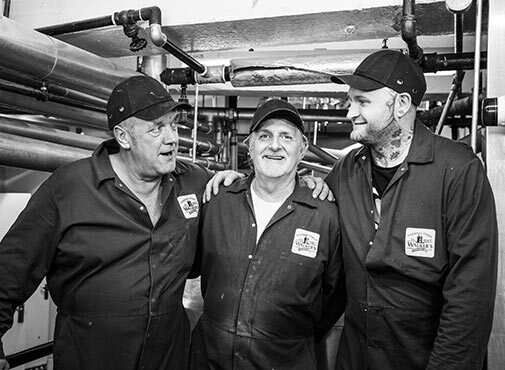 Our Boiler Men are a crucial part of making England’s finest toffee. 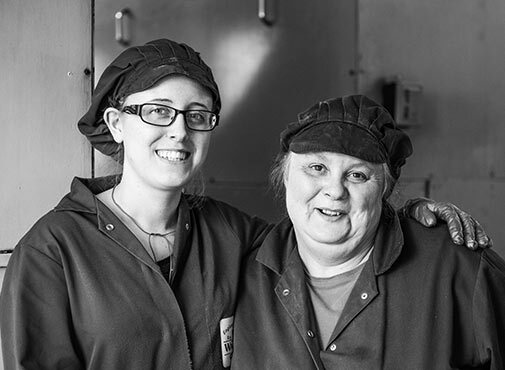 The team work together to produce tons of delicious toffee every day. They look after the ingredients and keep the cookers at the right temperature to make sure our toffee is the perfect texture and colour. 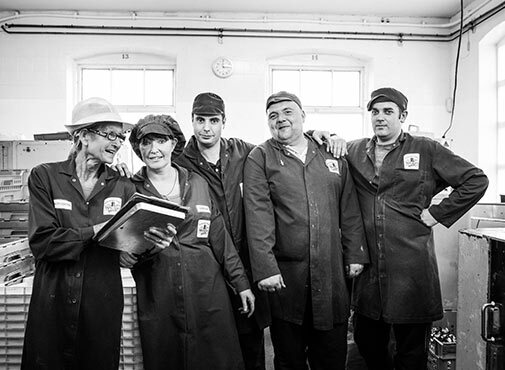 Our production works on continuous motion, so the men work around the clock to make sure our toffee never stops flowing. Ever wondered how our delicious nuts are put into our toffee? Well these are the girls that do just that! 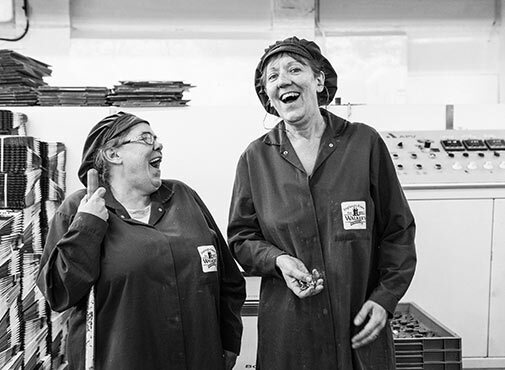 By hand they add a nut into each section of our moulds just before the toffee is poured in. 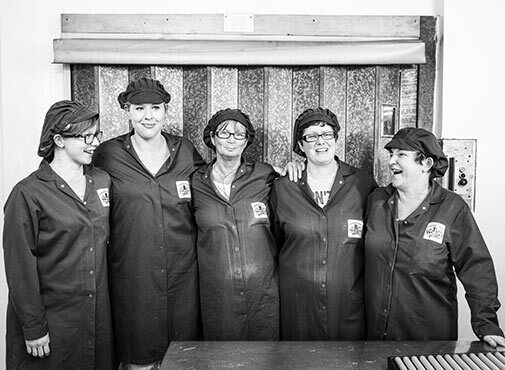 Their job is very important as we know how much you love your nutty toffee! The quality of our toffee is a priority to us so it needs wrapping perfectly to maintain its shape and freshness. 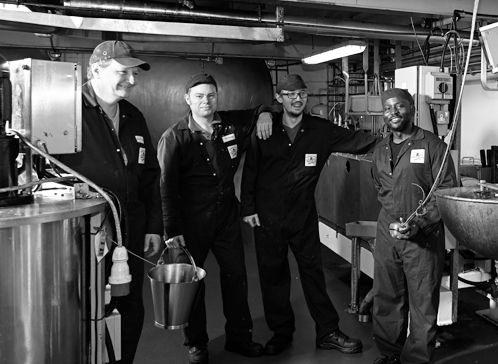 We have a skilled team who operate the machines. As you can see, they like to have a laugh at the same time. After being wrapped our toffees are put into small bags, big bags and jars too. 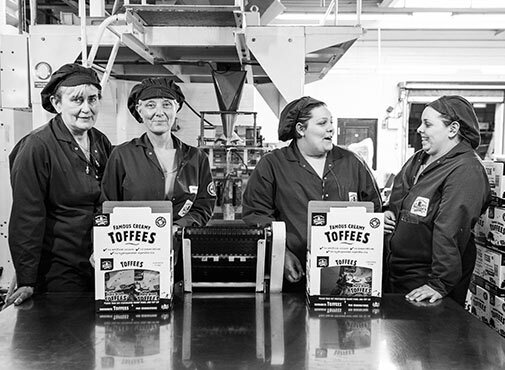 This team operate the machine which weighs your toffees to make sure you get enough in each bag, as we wouldn’t want you going short! Good quality bags mean the toffees stay fresh until you decide to take a moment to chew! Bulk bags for pick’n’mix , repacking and traditional sweet shop jars are an important part of our business. The team works with the machines to make sure every bag and jar is packed to perfection! Bars, slabs and hammer packs take us back to our heritage! 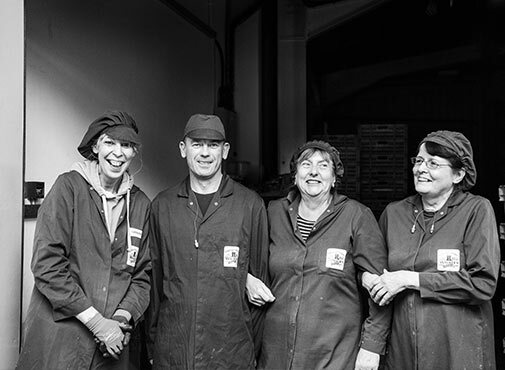 The team work all week, every week, on wrapping and packing bars and slabs. From adding the ingredients and packing the box takes two hours. 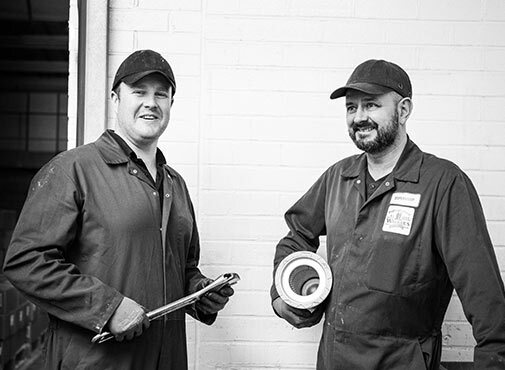 If we have a breakdown our maintenance team John and Paul, are the men who can fix it. We work on a continuous production method so it’s important that machines are fixed quickly whenever a problem arises. The Warehouse Team are busy receiving deliveries, loading containers, trucks and vans and organising the warehouse making sure our toffee leaves here in pristine condition. All done with a smile on their faces! 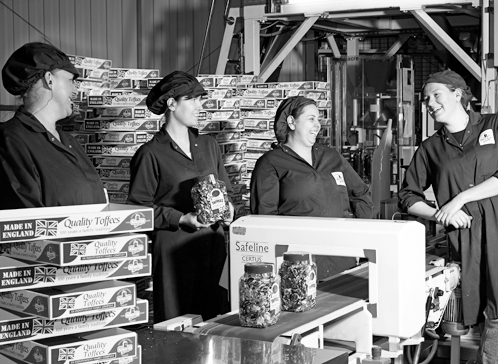 We make over 1.25 million toffees a day and send them to 45 countries around the world.